The cap, the bandana and the shovel. 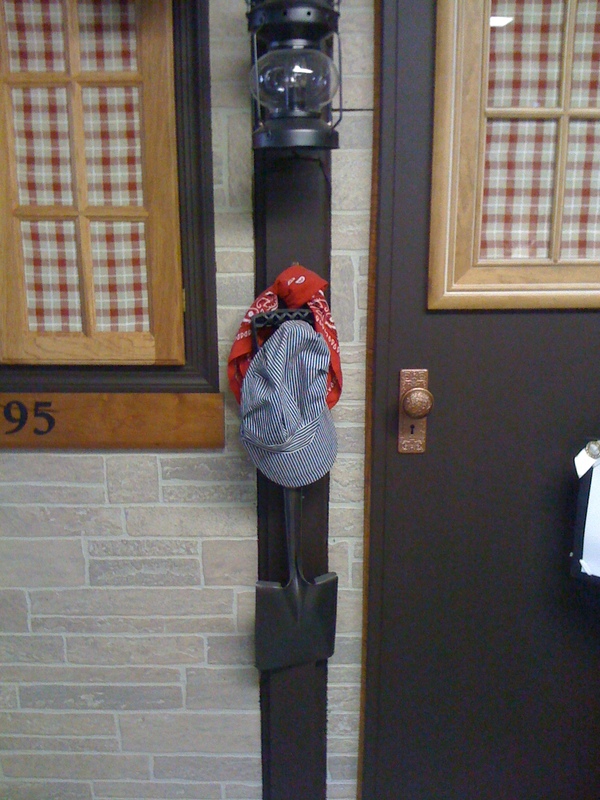 The cap, the bandana and the shovel. All things a railroad worker might have used. Typical railroad decor with hidden history. The shovel actually belonged to my grandson. My husband bought it for him as a small child to work alongside him on jobs, making him feel an integral part of the project. My grandson is now over 6 ft tall so the shovel is far too “small”, but it holds a “large” piece of our heart. Random me: I remember helping me dad paint our house as a teenager, realizing I had no idea how to paint! Yes, we have no bananas…….we have no bananas today. We do have apples, oranges, milk and eggs. 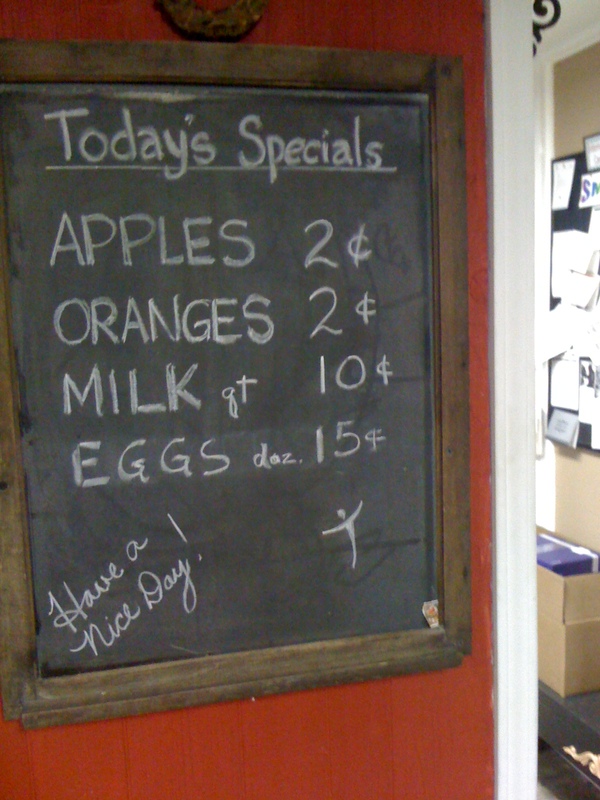 It’s not the produce that is special but the chalk board it is written on. This chalk board was mine when I was a child. Random me: Not too many items left from my childhood. Kind of interesting when you stop to think about it. 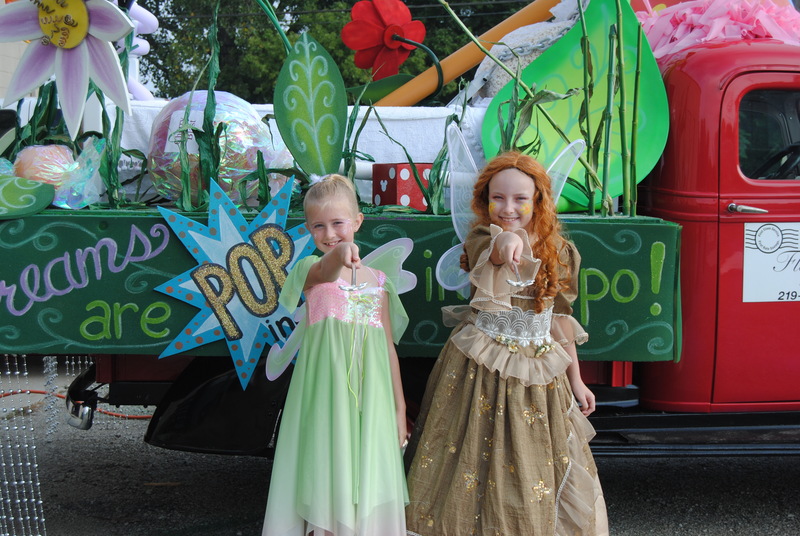 The Flanagin Fairies added just the right touch of whimsy and joy to Flanagin’s Bulk Mail Service. 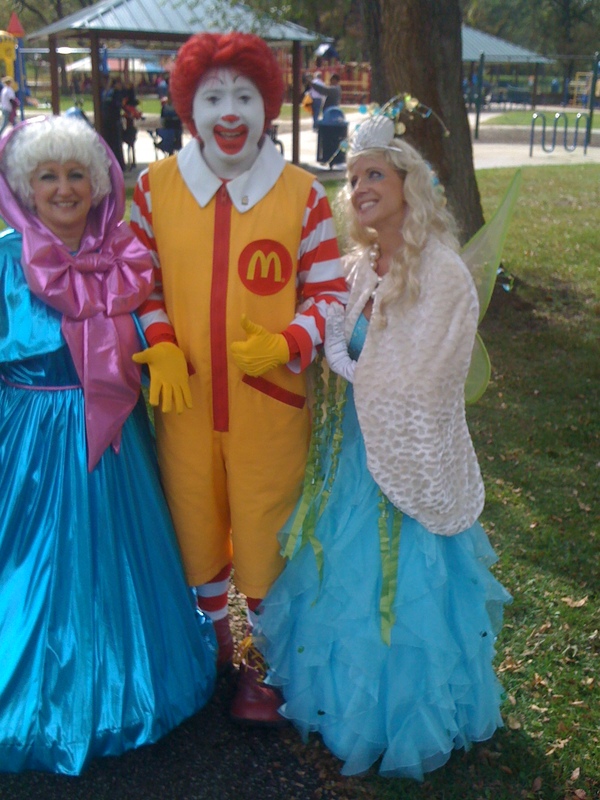 Created in 2008, their first appearance was in the Valparaiso Popcorn Parade. As much fun for us, as for the children we entertained. 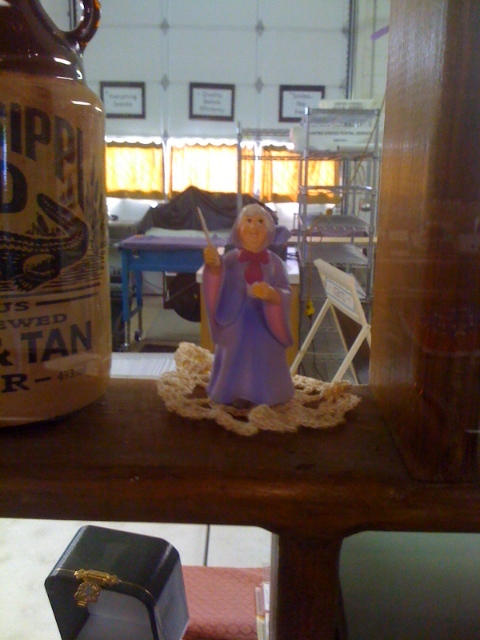 It was imparative to add a symbol of the Fairies to the Hidden History of our company. 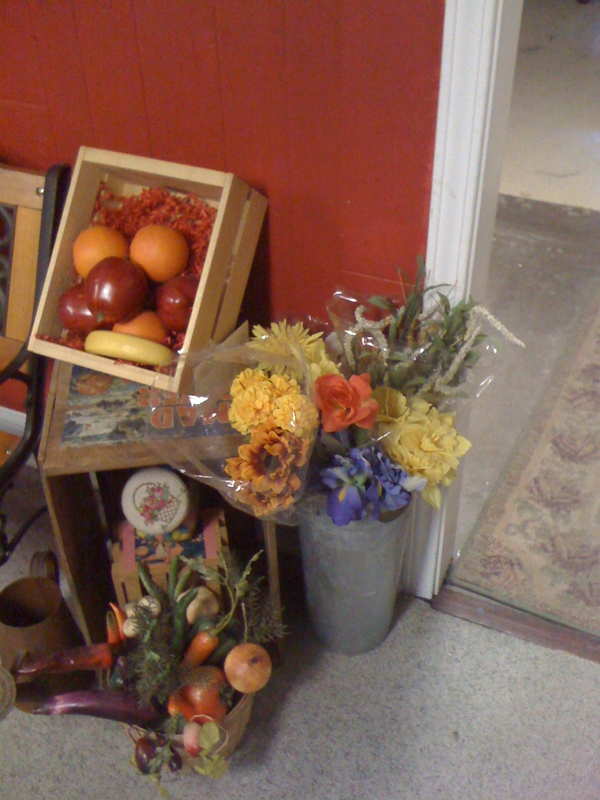 For sale at the general store are varies flowers. 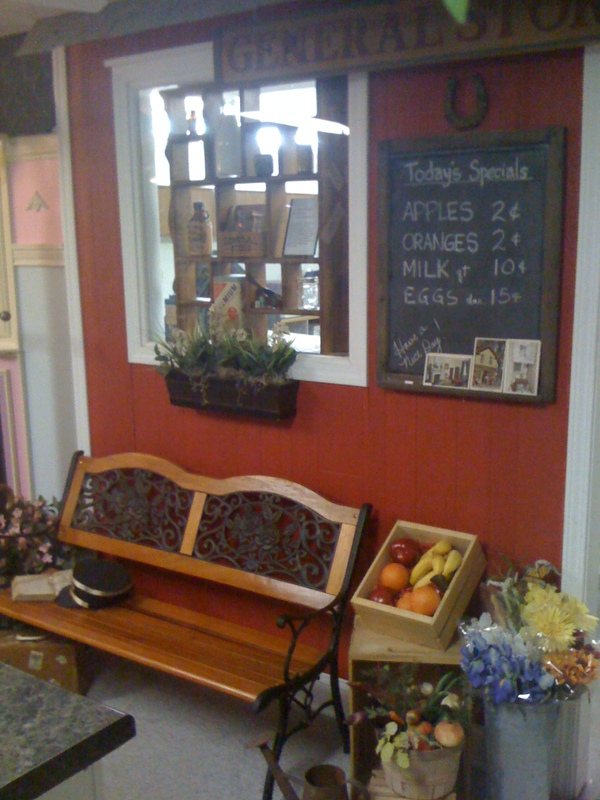 Look closely and you will see one single red rose for sale. This red rose symbolizes the Unsung Hero R.O.S.E. Award presented to our company in 2010. Definitely an important part of our hidden history. Random me: For most of my life, I never “really” saw the grandeur of a sunrise. In yesterday’s blog I talked about the book “Inez” on the park bench. Casually placed on the book you’ll find a pair of reading glasses. 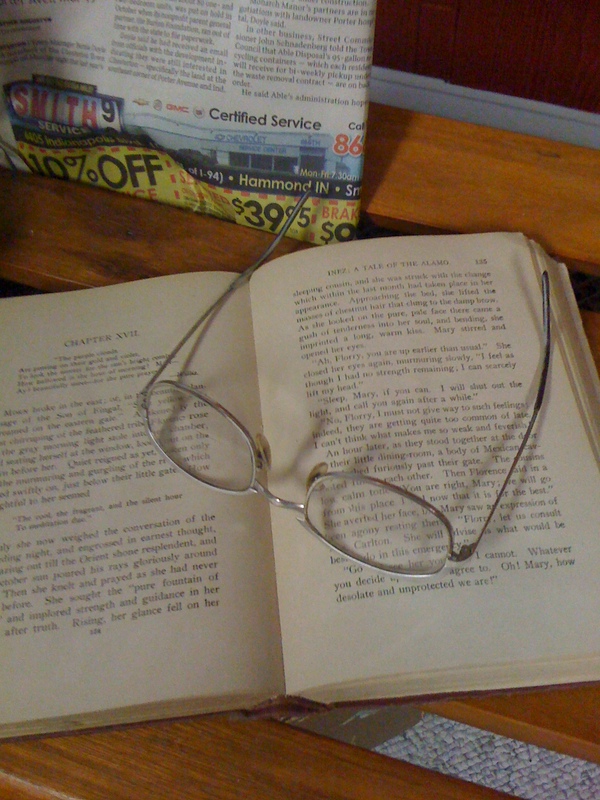 My mother was an avid reader, and these were her glasses. The “reader” is gone but not the memories. Random me: childhood memory – watching movies in grade school and struggling to keep my eyes open. They seemed so boring at the time. 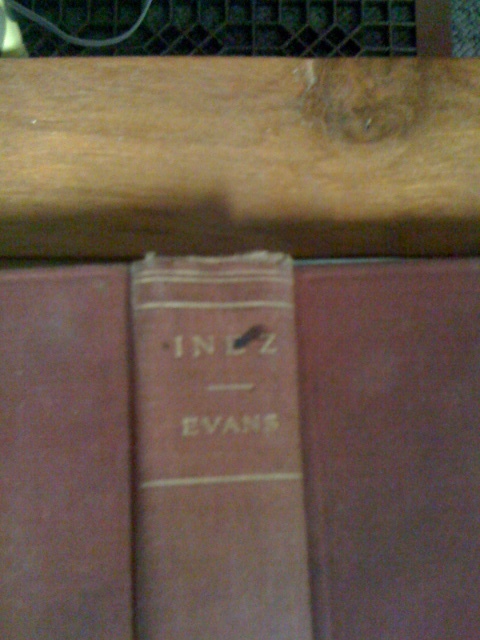 Hidden History #18 Random Book Titled “Inez”? The park bench, the cane, the luggage, the glasses, the book all meant to make you feel like someone is waiting for the train. Or maybe just took a moment for themselves in the park to read a book. Note the title of this book. Hidden History #18. Inez was my mother’s name and also the middle name given to my granddaughter. Not just any book, but a book by design. 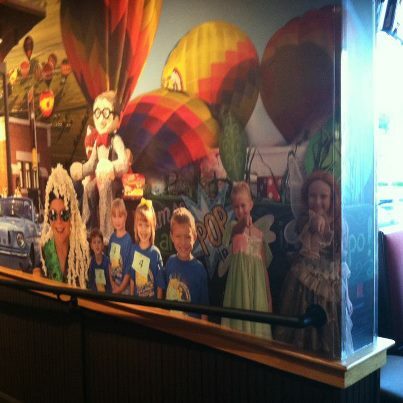 Random me: childhood memory – my least favorite meal was lima beans and spare ribs. Be careful when using abbreviations in addresses. The abbreviation “St” means “street” to the post office. So if you type in St Rd 2 you are telling the post office you want to mail to “Street Road 2”. Spell out the word State. 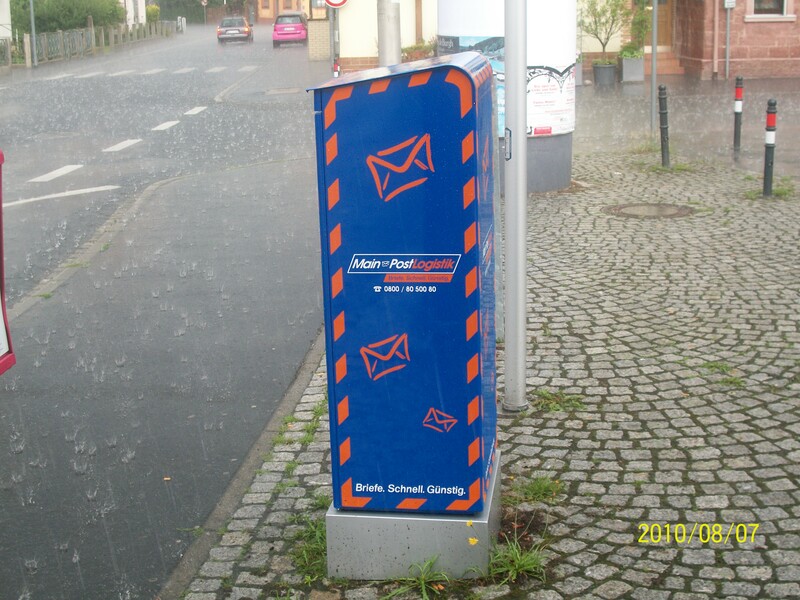 Don’t forget your bulk mail is being processed by computers that read what they see. 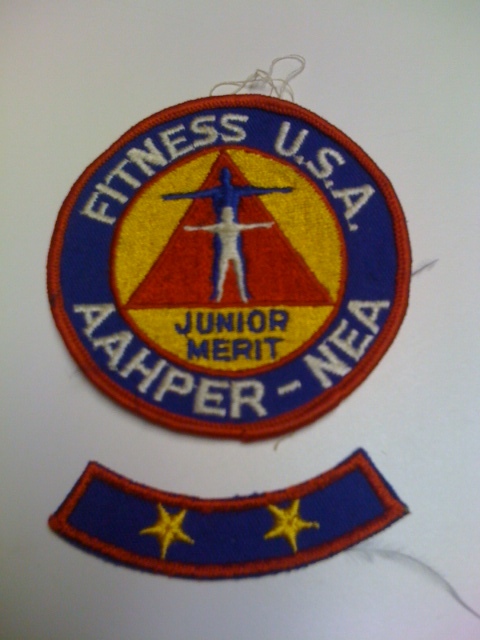 Random me: Still have my “Presidential Fitness” patch from grade school. Hand made doily with love. 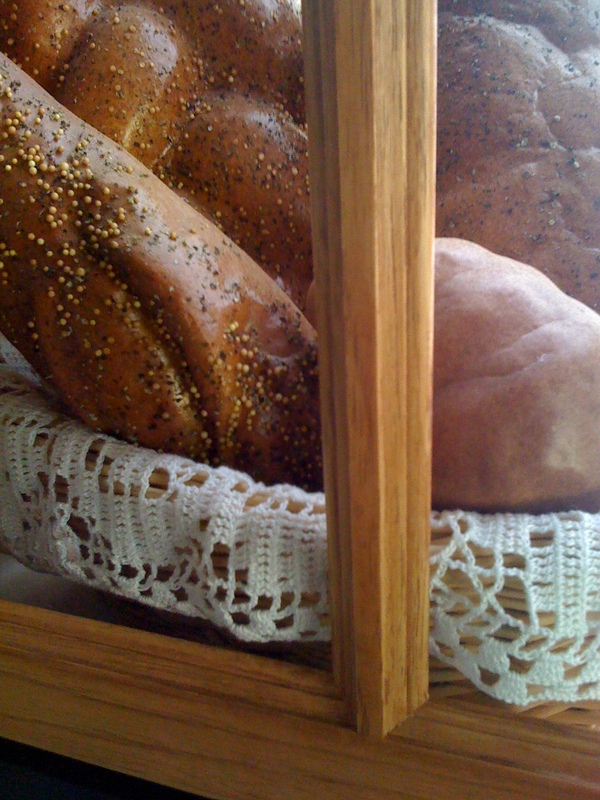 The bakery is a façade. Made with love by a very special person to our company. Random me: I have always had way more shoes than one person should.